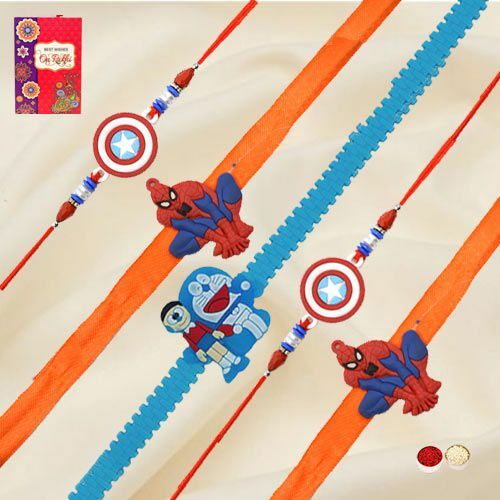 Celebrate the bond of love, togetherness and protection by sending your closest ones this Fancy Five Rakhis Set for Children with Blissful Love on Raksha Bandhan, that is embellished in the presence of a free Rakhi, Roli Tilak and Chawal. This Surprising Five Rakhis for Children is Nicely Gift Wrapped. The Design may differ a little.